For printed paper to wrap gifts in, to beads and faux flowers for your DIY projects — Jagdamba Fancy Stores in Ramkote is an ideal stop. Personalised gifting is so in right now, and if you're that crafty friend who loves to make scrap books, jewellery and paintings — Jagadamba Fancy Stores has all that you will need. From aisles of lace, fancy tape, beads, emboss, stitch and baking kits to printed papers, organza rolls, wooden blanks, they really do have a variety of fancy items. So, put those striped washi tapes, vintage printed papers (among other patterns like floral, geometric, hearts), crystal stickers and some cutesy photos of you with your BFF (that you can frame in the 3D photo frames from here) and make a memorable journal complete with handwritten notes. The calligraphy sets, modelling kits, artists ink, detail knife, roller cutters, wood carving sets and clay sets ensure that you achieve your Pinterest goals neatly. 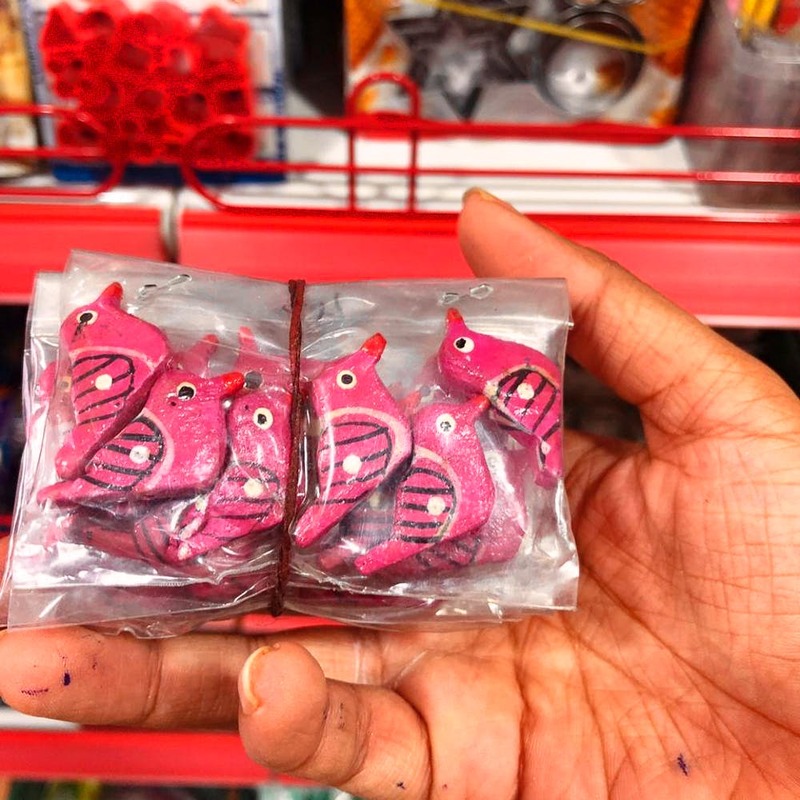 Those of you looking to make your rooms more vibrant, there are metallic bird cages that you can pick from here for as low as INR 70, scented candles and wooden clip sets to pin those polaroids with. Schools and corporates often place bulk orders from this store for SUPW essentials like emboss painting kits, quilling sets, and cookie cutters that are super safe for kiddies to use. The store can feel a bit cluttered because it's kind of small, although everything is pretty organised. We'd have loved to shop for basic stationery like easels and acrylic paint tubes here. They sell at wholesale prices for bulk orders.